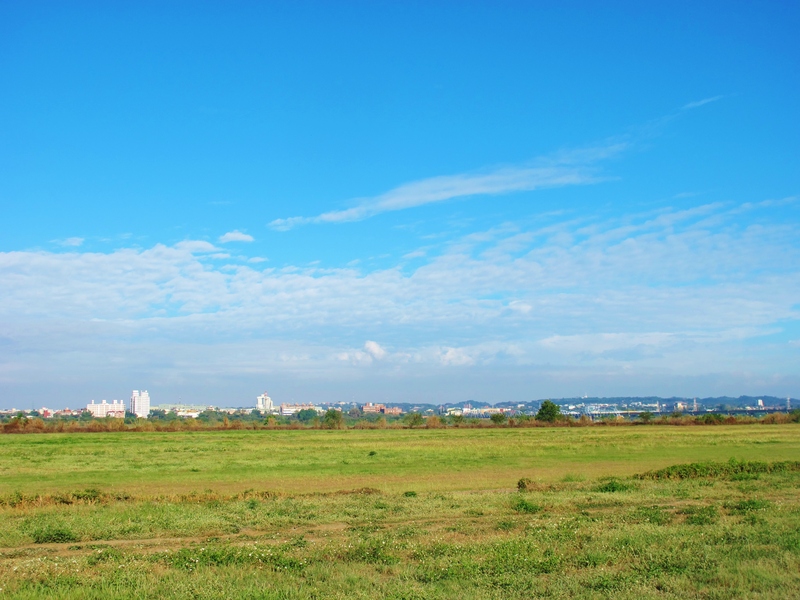 View across grassland on the east bank of the Gaoping River, on an unusually smog-free sunny day. Today I spent a very enjoyable and productive few hours birding at several locations along both the east and west banks of the Gaoping River. With temperatures hitting 30C (86F) by late morning, and clear smog-free skies, it was as close to a summer day as one can expect in late March. On the Pingtung (east) side of the river, just north of the old railway bridge, there’s a fast-flowing stretch of river with pools and islands. More or less the first bird I saw was a Lesser Coucal, flying past me then disappearing into a dense patch of scrub, from where it started to sing. This is only the second time I have seen Lesser Coucal in Taiwan, so it was a very useful year tick. Waders on and around the riverine islands included a Green Sandpiper (year tick), and a lone Marsh Sandpiper, keeping company with plenty of Wood Sandpipers, Common Greenshanks and Black-winged Stilts. A few hundred meters south, past the railway bridge, a Black-shouldered Kite watched over the grassland from a bushtop. Getting on the scooter, I drove back across the enormous Gaoping River bridge, then north up the west bank of the river as far as the Railway Bridge Marsh Park. A long and hot walk around the trails produced a Purple Heron and a breeding-plumaged Pheasant-tailed Jacana, but the real highlight was on the return journey close to the railway bridge: 2 singing Golden-headed Cisticolas. Their song is a curious wheeze followed by a “chip” note, which is delivered from a bush or in flight, and I got good views of both singing birds. Finally, one of the “little brown jobs” that had thus far eluded me finds its way to my Taiwan list. I rounded off an excellent morning by setting up the scope under the bridge to look at the riverine islands, where 4 Long-toed Stints were the best of a small selection of waders. Golden-headed Cisticola takes its place as my 157th bird species in Taiwan this year, and my 198th in Taiwan overall.